Americans love God. We stamp God on our money, our bumper stickers, and our bodies. With a church on nearly every street, it's hard to deny our country's deep connection with the divine. 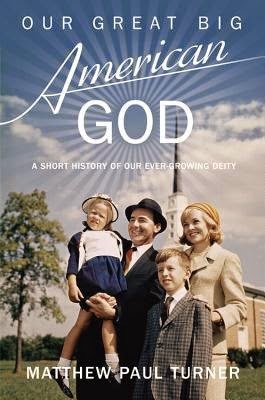 Yet culture critic Matthew Paul Turner says that God didn't just change America-America changed God. As a result, do we even recognize the "real" God? Whip-smart and provocative, Turner explores the United States' vast influence on God, told through an amazing true history of faith, politics, and evangelical pyrotechnics. No matter what your political or religious affiliation, this book will challenge and delight with its razor sharp wit, social commentary, and savvy historical insight. It will make you reconsider the way you think about America as a "Christian nation," and help you re-imagine a better future for God and country. Ultimately, Turner dares to ask: Does God control the future of America-or is it the other way around?